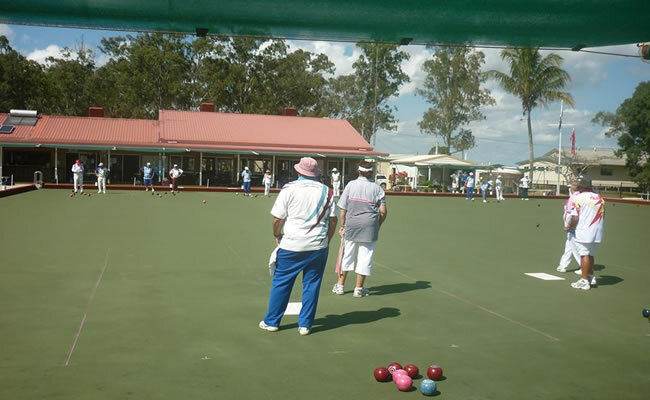 Everyone is welcome at the Boonooroo Bowls Club! We are a community based, family friendly club with a range of facilities and activities. We warmly welcome new members and visitors. 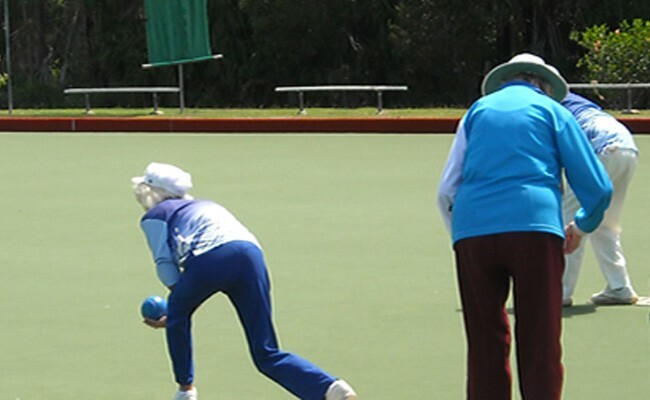 Want to try lawn bowls? We will get you started. Ring the club any afternoon and talk to our bar staff. We will provide the bowls and other items needed to get you going. NO COST TO TRY! Come and enjoy a great value meal between 12pm and 2pm or between 6pm and 8pm on Fridays and Saturdays. 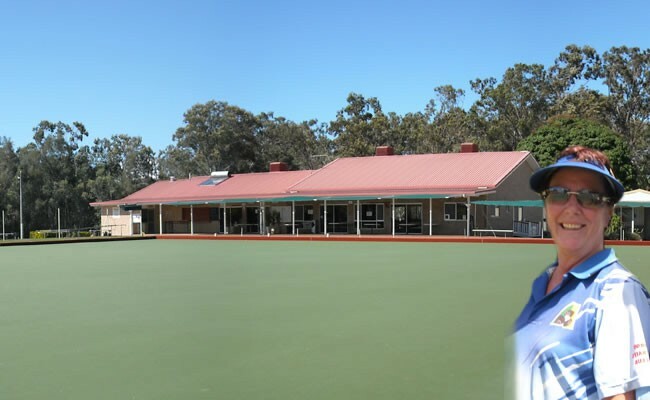 The Boonooroo Sandy Straits Bowls Club welcomes bowlers from surrounding area clubs in our mens, womens and mixed team events. 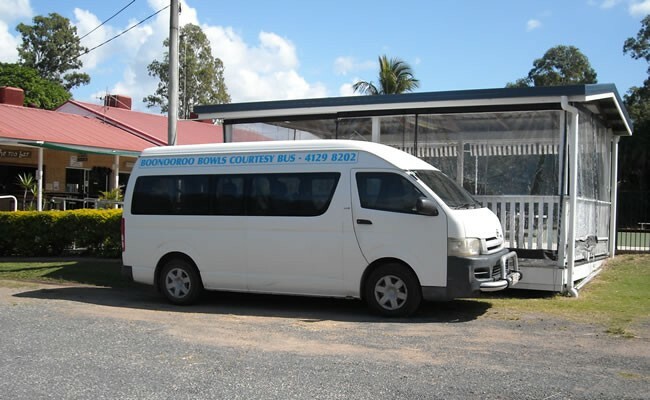 We host a number of matches throughout the year and travel to many other clubs on the Fraser Coast. Whether you are a bowler, want to be a bowler, or just want to have a great Friday or Saturday night meal and get together with friends, come on out to the Boonooroo Bowls Club and live it up! We invite you and your friends and colleagues to hold a Corporate or Club Day at our club; perhaps enjoy a game of social bowls as well. Subject to our fixed commitments, the facilities can be booked for any day. You may wish to have a lunch at the club with club members and their families. Talk to us and we will see what we can do for you. We can promise you a fun experience. Ring us on (07) 4129 8202. 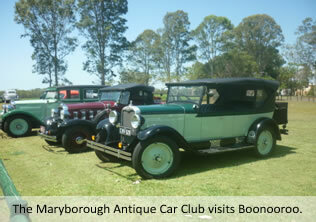 The Maryborough Antique Car Club members are regular guests at the Boonooroo Bowls Club and always enjoy their day. 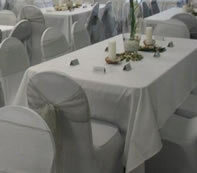 The dining room at the Boonooroo Bowls Club is available for wedding receptions, birthdays, anniversaries and other special occasions.